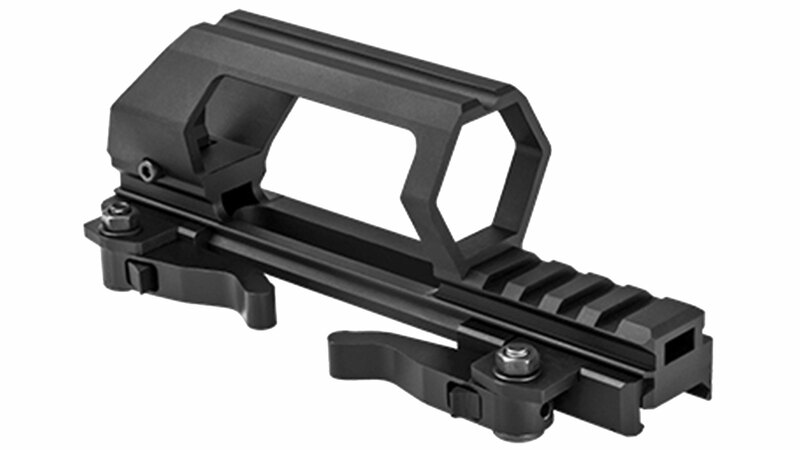 - Rear of mount has an Optics rail for mounting a Reflex Optic. Specifically designed to work with VISM VDGRLB Reflex optic and Red Laser. It will also work with NcSTA Micro Dot Reflex Optics.